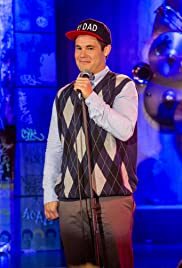 Starring and hosted by Adam Devine ("Workaholics"), each episode of "Adam Devine's House Party" features scripted storylines and stand-up segments, and hosts an exciting lineup of up-and-coming talent. After a bad experience at a séance, Adam runs into trouble while hosting performances from Matteo Lane, Mark Serritella and Erik Griffin. Combining narrative sketches with stand-up, Adam Devine hostscomedians Liza Treyger, Josh Rabinowitz, and Sean Donnelly ata house party in a huge mansion. Combining narrative sketches with stand-up, Adam Devine hostscomedians Matt Broussard, Matt Koff, and Asif Ali at a houseparty in a huge mansion. 'Sexcastle' Action-Comedy Teams 'Workaholics' Duo and the Russo Bros.